 Quoted by A.C. Bhaktivedanta Swami in his translation and commentation of Caitanya-caritamrta, Adi 6.14-15p. Despite so many supporting quotes, "Intelligent Design" is treated as pseudoscience by mainstream academia and atheists even have a court ruling to confirm that. This label is thoroughly undeserved but it is what it is – it's toxic, and no "reputable" academic journal would publish any paper with any scent of "Intelligent Design" in it. 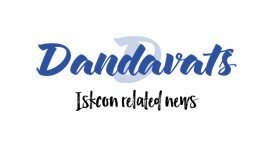 This raises the question – has there been a shift in Bhaktivedanta Institute's strategy? Srila Prabhupada was very proud of his scientists because they had firm academic footing and so could argue against atheism with solid scientific arguments. If our current arguments, such as this "Intelligent Design", are dismissed outright as pseudoscience and grouped together with ufology and Flat Earthers, however unfairly, then what is the point of pursuing it? Have we completely closed the door to trying to persuade the academic world? Without naming names, one of the keynote speakers at this recent conference also engages in practicing pseudoscience according to Wikipedia, while another has got very unflattering media coverage last year with words like "wacky", "out of their minds", and "the whole shindig has gone off the rails" accompanied by picture of people taking "gong baths". It's just not a reputable company from academic point of view. Engaging essay, though I wonder about Mechanistic and Nonmechanistic Science, and perhaps even Forbidden Archeology – both authored by Sadaputa – being on same list as this author's book which near exclusively features Discovery Institute proponents, as thus readily identifies with that group and their arguments for incorporating metaphysical concerns into the practice of professional science. This potentially sounds contrary to essential Gaudiya Vaisnava principles endorsed by Srila Prabhupada who emphasized the limitations, if not inherent defects, of conditional perception, and how modern science as practiced by the professional disciplines, can at best but offer but an extension of conditional perception and analysis. In other words, confirmation of our relation with the Almighty is not to be secured through said conditioned sensual perception or even intellectual wrangling. Mechanistic did not discuss any such agenda. Arguably even Forbidden Archeology, which focused on historical anomalies found in the archeological record. The Bhaktivedanta Institute for Higher Studies Mission Statement published in the conference literature, closely aligns with the original mission statement laid down by the institution’s founding charter members while Srila Prabhupada was present for the first BI conference held in Vrindavan 1977. True, while some of this year's leading speakers were known for cutting edge research along disciplinary boundaries, they also pursued their programs under well-established affiliations with leading academic institutions such as Princeton University and the University of Arizona. Other featured speakers with arguably more orthodox agendas held affiliations with the University of Florida, Utah State University, the California State Universities, the University of Alberta (Canada), the University of Queensland (Australia), along with numerous other respected international institutions. As for presentations involving intelligent design facilitated by the conference, while the Bhaktivedanta Institute certainly sympathizes with a broad theistic appreciation of the natural world, it did not otherwise endorse any particular speaker or institutional agenda within this debate. A central purpose of this year's conference was to foster dialogue between comparable and competing discourse within the world of science and religion. By all appearances, the Bhaktivedanta Institute remains true to Prabhupada’s vision. In as much as Wikipedia articles on science matter (and they do – a lot), above mentioned Intelligent Design, Discovery Institute, Princeton Engineering Anomalies Research Lab, and even our own "Forbidden Archaeology" are all classified as "pseudoscience". I've already quoted very unflattering media characterization of the program affiliated with the university of Arizona, which is also available on Wikipedia. 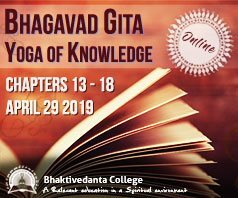 Given that people presenting these programs were honored as keynote speakers, it does leave an impression that Bhaktivedanta Institute indeed promotes pseudoscience. Any devotee who gets enthusiastic about Intelligent Design presented in this article and assumes that it's a legitimate branch of science is setting himself up for a nasty and pleasant surprise if tries to present it to someone else. Actually, it's not pseudoscience but trying to prove that this categorization is undeserved is a very challenging task. Meanwhile Dembsky has retired from promoting ID some five years ago and Behe's last book was in 2013, too. Princeton lab was closed in 2007. But "gong baths" in Arizona are presumably still going on. And all of these programs have nothing to do with Bhakti, nor with Vedanta, nor with any other Vedic theory like Sankhya. 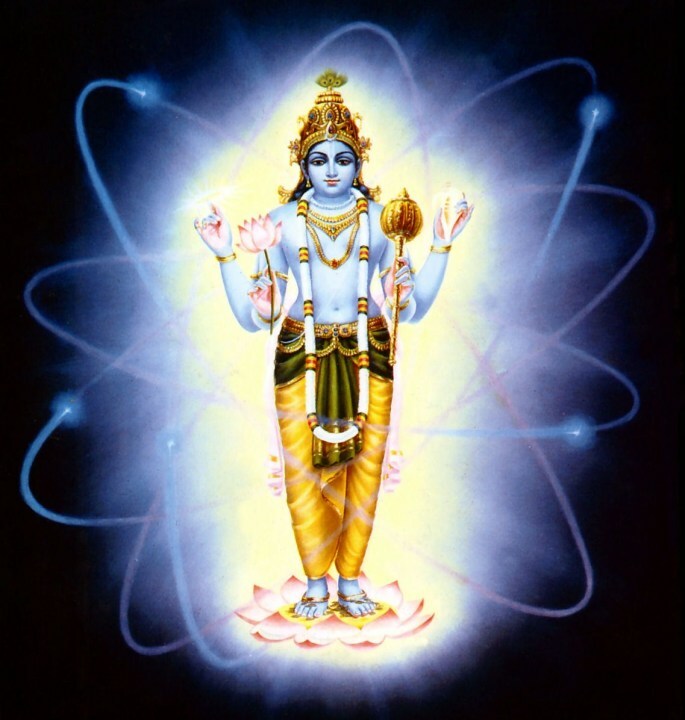 Personally, I believe that we do have to know what is going there and their experience can be very useful for us, too, so in that sense conference was a success and is very much welcome, but it's only a background for actual Bhagavatam based science which is yet to emerge. All good points. Having said that, Wikipedia is not considered a definitive academic authority, but rather a publicly edited encyclopedia forum. Useful, important, influential, to be sure. Without doubt, the term "pseudoscience" possesses an unfavorable connotation. Arguably an institution like the Bhaktivedanta Institute does not promote material science in any form in sense of its relation to sankhya, jnana, other forms of empiricism – coincidently tentative and relative as per contemporary professional disciplinary standards held in esteem within the sciences, and drawn from conditional modes of perception. To be sure, everything can be engaged in the service of bhakti as everything offers utility. Perhaps that is the point. There are many audiences engaged in both the broad public as well as within disciplined academic discourse concerning the relationship between science and religion that invites proactive engagement with scholarly discipline. Wikipedia sure is not an ultimate authority on what is considered "science" and what is not, but science itself lacks such a body. In every discipline there are professional organizations and peer reviewed magazines but if one decides to create a parallel structure no one can stop him, and this is what Christians did with their Discovery Institute. Now THEY get to decide which objections to Darwinism are acceptable as "science" and which aren't. Otherwise we talk about "mainstream" and "academia", which are ideas. Who creates these ideas and who controls them? They don't just appear as a sequence of nerve impulses in someone's brain. And how do we go about confronting them? Perhaps a change of strategy is indeed warranted. Perhaps we can study the example of Srila Prabhupada himself who started from the bottom with "Back to Godhead", then tried to reach the top by meeting Indian leaders, then translated Srimad Bhagavatam for the intelligent class in the West, but ultimately found a fertile ground among generation that had outgrown ideas presented by the mainstream.